Home » NHCC » 2018 Northeast Regionals! What to Watch For! For those that do not know the difference, Footlocker is the older sibling for individuals, no teams, and the top 10 finishers qualify for a trip to the national championship in San Diego, California. Nike Cross Nationals, NXN, was created to crown a National Team Champion. The top 2 teams in each region automatically qualify for the trip to the national championships in Portland, Oregon, but as Hanover showed us in 2007 and Coe-Brown showed in 2013, 4 teams across the country can nab an at-large bid to the meet as well. Last year, Souhegan girls became the third NH program to qualify for a trip to Oregon. 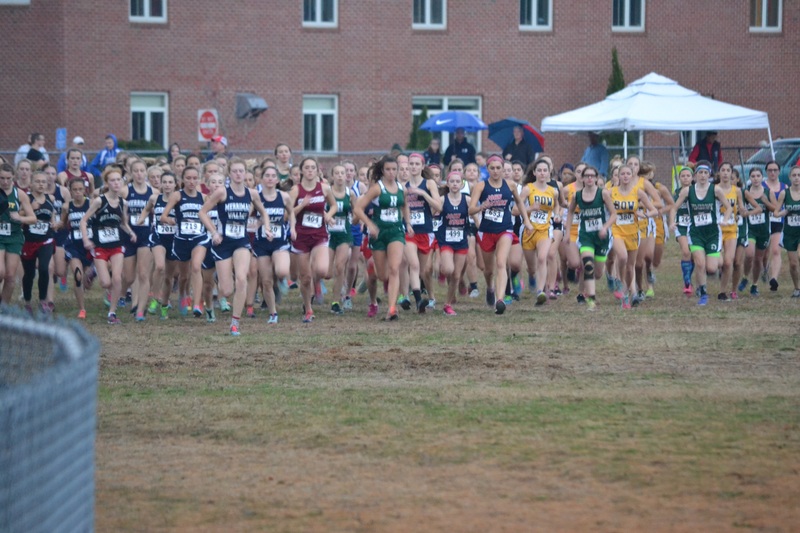 Individuals can also qualify from each region by placing in the top 5 individuals who are not on a qualifying team, as Bishop Guertin’s Caroline Fischer demonstrated in 2016, Coe-Brown’s Liz Danis did in 2015 and Oyster River’s Maegan Doody did in 2014. This year, 5 full NH teams and several individuals are making the trip to Nike Cross Northeast Regional in Wappinger’s Falls, NY where the historical Bowdoin Park runs quite similar to Derryfield. For the girls NH #1 Coe-Brown (Black Bear)and #4 Souhegan (Saber Running Club) also return. Both teams have become perennial participants, but seem to be on the in-between-years as their futures look bright. Both programs have the experience of qualifying and competing in Oregon. This experience and confidence could certainly prove fruitful in future years as New England teams seem to perform well here. Look for New England Champ Champlain Valley Union, VT to qualify as they are healthy and specifically trained for courses like Bowdoin Park (see Thetford Academy and Derryfield). Good luck to our friends from the Green Mountain State! For the third consecutive year, Concord (NH #1)boys are entered in the boys race as the The Tribe XC Club. They will be facing an uphill battle, but as always, will fight over the entire course. Like the girls, the other boys teams seem to be a year or two away as both the Coe-Brown (NH#3 – Black Bear) and Londonderry (NH#7 – Appletown) boys are very young but talented. Updated! Nashua North-South Invitational with Interviews! Good luck to the NH contingent at Footlocker and NXR. Hoping the Wappinger Falls course is as solid as Van Cortlandt was last week. Special shout outs to the D3 contingent of Jeffrey, Mya and Landen Vaillancourt in your post season endeavors! Nice run by Weil Cooley as well! Previous post THANKS NH CROSS COUNTRY COMMUNITY!! !